I’m having difficulties to locate Template selection whenever I want to create a new Page. (Pages > Add New > Page Attributes). The option to choose a Template under Page Attributes was not there. I’ved tried several suggestions/techniques by other users eg; make a hard refresh, clear cache & cookies, switch between themes but to no avail. I hope someone will light me with a solution to my problem. 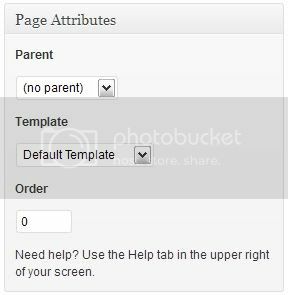 Does your theme have any custom page templates? thanks for the reply esmi. For your information, I’m using a pre-installed themes that comes with wordpress specifically Twenty Eleven 1.3 and Twenty Ten 1.3. And yes, they both have page templates. I did not add any custom template (my own customized template) if that is what you are referring to as “custom page templates”. Have you tried installing WordPress on a different server? no I have not yet try to install WordPress on a different server. I had the same issue. I unactivated the theme and reactivated it and the drop down showed up. Hi everyone.. I have the same problem when using a custom menu in WordPress 3.3.1, no template selector.. tried deactivating and activating the theme but no changes here.. I spent hours googling, but no solution yet.. any ideas on what to do? People! Please post your own topic! @angah83: any luck installing on a different server, yet? Since this issue does not affect hundreds of thousands of other WP users, it must be specific to your site or server. Had the same problem, but maxkaplan’s solution worked. I’ve seen it before though, also with older WordPress versions. I am using the theme Ari on a new site that needs a unique page. When I went to build the new page, Template option was missing. I came to this discussion thinking it was a WP 3.3.1 issue but now I believe it is a theme issue. I changed my theme to TwentyEleven, then started my new page and Yes! the Template option was there. I made my page, then switched the theme back to Ari and the Dashboard says that it is using My Template. At least I got that functioning. Now back to making all happen. I have exactly the same issue. I didn’t have any clue and tried almost everything. I fear that it might be a server issue. However so far I didn’t have chance to try another server. @domidesign: Please post your own topic. 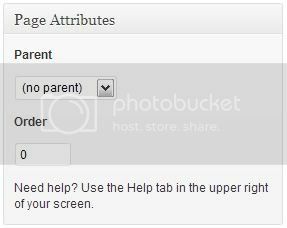 The topic ‘Missing Template Selection on Page Attributes in WordPress 3.3.1’ is closed to new replies.